2015 was an incredible year of break throughs for the Bloom team. We produced our biggest festival to date in Edmonton and Calgary. We also did 2 Canadian Tours with Bloom hosting events in Victoria, Vancouver, Kelowna, Canmore, Banff, Calgary, Edmonton, Toronto & Montreal. It was a surreal experience as we watched our lives turn towards the sun of following our dharma and living our lives on purpose. Amongst all of this Myrah quietly launched her own clothing line and first of many designs to come out. The Kundalini Gown designed for the Aquarian Woman. We learned much about self love and we caught up with Myrah to talk about her experience with self love bringing new ideas to life. Myrah: To actually bring this idea to life was a major game changer for me. I mean its been in my diaries since I was a teenager to start and launch a fashion clothing line. Little did I know, that it would be inspired by sacred ceremonies and yoga practises that have become my life over the past 11 years. At first, it almost brought me to tears everytime there was a hitch in the plan and things sometimes didn't go our way when we first started. Overtime, I learned to not take everything so seriously and personal when it came down to business. Learning to be a business woman was a big deal as for me this was simply a creative expression, something I just wanted to share with the world. Learning to charge money for the value that I bring to the world was a big confidence and self love booster. Self love, starts and ends with the self. You really have to work it. It's not something we learn in school. Not even in yoga teacher training or any workshops, people touch on it in conversation but in reality it isn't something that we learn tangibly. Through the process of birthing this idea and BLOOM itself, I have learned that it takes consistency and commitment. At first, I was afraid to commit to anything, especially in the business. I was so afraid to fail that I wouldn't fully even believe that this would come true. There was this inner voice of doubt always shadowing my creativity. Through regular Sattva Yoga practise and Kundalini practises and loads of conversations with my hubby Robindra, who always acts as a mirror and sounding board for me, I have found a way through. 1. Commit to something. Start small, try committing to a 3 minute meditation daily for 3 days. Once you hit the 3 days, recognize yourself for it, share it with your friends and then make your commitments even more complex, i.e add a few days to it. 2. When you fail, choose curiosity instead of going to a place where you are beating yourself up, go into the space and figure it out, what happened to cause me to not stick with my commitment? Did something bother me emotionally? Become an inner spy, learn about yourself deeper by paying attention to this. It is the key to unlocking self love and sharing more of yourself with the world. 3. Focus on foundational work. Really hone in on your daily habits and specifically your morning rituals. Get your morning right and you will likely get your day right. We will share more on this topic soon. 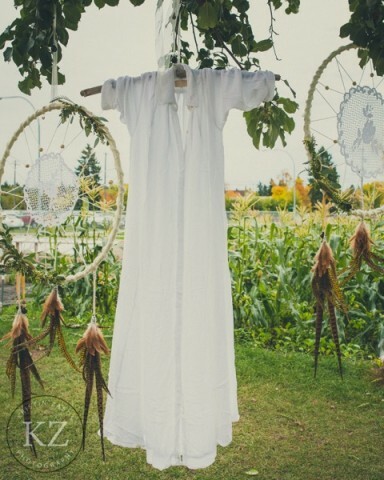 If you are interested in the Kundalini Gown, we only have a few left in stock. Get them while you can!